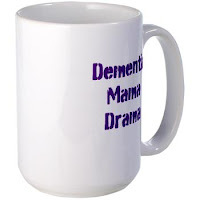 Dementia-Mama-Drama: "I love you too, dear - but not that way"
When Mama lived at The Village Nursing Home in NYC, she had many friends. This was a big difference from The Rafael Home in CA, where she had very little social activity or friends. In NYC, besides her friends, even the visitors of other residents would stop by & say hello to Mama & she loved it! She especially enjoyed sitting outside on the bench (right on 12th Street) & watched the people passing by - it was quite a diverse group. Some of them would stop & chat with her as they walked their dogs, pushed their baby strollers or on their way home from work. 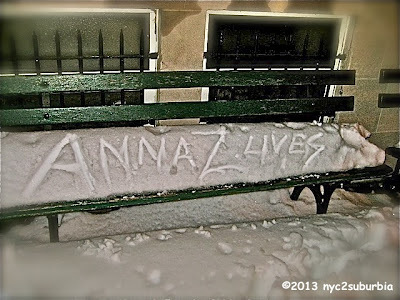 Some of them even called her by her name, "Anna with a Z." One of Mama's best friends at the Village Home was Joyce. Joyce had suffered a stroke & was wheelchair bound. She had great difficulty speaking, but remarkably Mama was able to understand her most of the time. Joyce was a big smoker & loved to go outside just like Mama. They had their spats, but they were inseparable. This is the first conversation I heard between them when I met Joyce while visiting Mama. Remembering this encounter always brings a smile to my face & reminds me that these two old gals always told it like it was. Joyce: I'm a lesbian... well, I used to be. Mama: That's nice, as long as you're happy. Joyce: (pause) My daughter is a prostitute. Mama: As long as she enjoys what she's doing & is good at it. Joyce: (looking at me now) I LOVE your mother. (She reaches over to hold Mama's hand).